Original, brick town house of 150sqm for 4 beds, with beautiful views in the center of town. Majella stone structure with garden and 2 beds in the old part of this lively, very Italian town. Fara San Martino, Abruzzo. 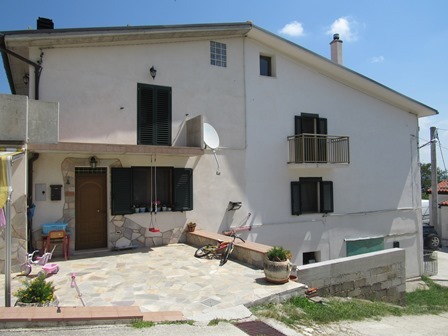 Majella stone structure with garden and 2 beds in the old part of this lively, very Italian town. What you notice about this property and the surrounding buildings are the stone rocks which form the structure of this typical, 100 year old house. The house has 4 rooms plus a second cellar and garden, all together, in the center of this lively town. The ground floor room is a cellar, the main entrance is on the first floor leading into the kitchen connected to the lounge. Up internal stairs to the main bedroom on the second floor with an old bathroom. The roof has leeks but the structure seems sound. The garden used to be a building that could be re-built. There are mountain views, and you may wish to either rebuild the old shed in the garden, maybe a barbecue area, and the if you decide to rebuild the roof completely, it can become a sun terrace. Connected to electricity, water and sewage. Easily connected to mains gas. Bomba, Abruzzo. 2 bedroom, stone ruin with open valley and mountain views. The property is located in the old part of town, offering basic shops and bar. It is 1km from the outdoor swimming pool, 5km to the very scenic lake Bomba, 20 minutes? drive to the beach and 50 minutes? drive to the airport. The property offers four rooms, one on top of the other with two external entrances. The structure and roof seem sound. Fara San Martino, Abruzzo.1 bedroom, terraced, town house with basic bathroom, solid structure and 15sqm terrace with a mountain backdrop and waterfall view. The town is a lively, well service mountain location, at the foot of the mountain , in front of the fresh water springs and water falls used to make the local pasta. There is little traffic and easy access and parking. The house is located at the end of around 20 steps, with the terrace in front of the house. On the other side of the terrace is a council owned flat roof that you have access too. The house comprises of 3 rooms, a lounge kitchen, a double bedroom and a basic , small toilet connect to the sewage. There is water and electricity meters at the house. The structure seems solid and can make a greater starter home for your Abruzzo adventures. Bomba, Abruzzo. Stone structure, studio flat, amazing views in the town center. This flat is accessible from the high street of Bomba, up external stairs to the first floor. There is a 5sqm shared terrace in front of the house to access the front door. Inside the property are 3 rooms, a kitchen lounge off which there is a small basic bathroom and a back-room bedroom with the views. The house needs restoring and the roof is leaking. I recommend converting a small space at the back of the bedroom to a 5sqm terrace which would offer the most amazing views. Casoli, Abruzzo. One bed, habitable apartment in the center of this lively town. It cosists of a lounge / diner, double bedroom and small bathroom. The back window looks out onto a spectacular mountain valley. The shops are 500 meters away. Stone structure town house with 2 bedrooms. Located in a lively town famous for its pasta, yet very peaceful. Fara San Martino, Abruzzo. Stone structure town house with 2 bedrooms. Located in a lively town famous for its pasta, yet very peaceful. In front of the house is a small patio, which , is not part of the house, but could be used as if it were. 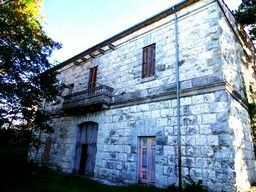 The main entrance accesses the stables, which would become a rustic kitchen. Up internal stairs to a single room of 30 sqm including the chimney and rustic stove for boiling tomatoes. Up internal stairs and there is a single room of 30sqm. Up internal stairs where there are 2 rooms. The roof needs to be rebuilt and the top floor. Connected to water, and easily connected to electricity, gas and sewage. Bomba, Abruzzo. 3 bedrooms. Stone town house in the center of a small hamlet, in original condition with original features and terrace. The entrance is from a quiet road into the original kitchen with firplace and built in stove. Up internal stairs to a double bedroom with terrace. Up internal stairs to two single bedrooms. The roof is in need of replacing. Under the house is a cellar with a shared courtyard behind. Bomba, Abruzzo. Nicely finished studio flat of 1 bed in the old town of Bomba. Located close to the public, open air swimming pool, yet, in the old town, this property is perfect for a small base for a couple. It is finished with separate WC and shower, small kitchen and lounge / bedroom. There are beautiful views of the area. The water , sewage and electricity is already connected and it is easy to connect the mains gas. Fara San Martino, Abruzzo. 2 bedroom , original apartment on three floors in this well service town, The entrance to the property is up 10 steps to a small terrace with the main door. The entrance is directly into the lounge, connect to the basic bathroom and main bedroom with balcony. Up internal stairs to a second bedroom with balcony and mountain views and down internal stairs to a cellar that could be a lounge. The structure seems sound, and the property is connected to the sewage and has an electricity and water connection. The town is fully loaded with shops, bars and restaurants. n7213 Villa Santa Maria, Abruzzo. 100 year old, original condition, stone town house in the center of a lively village. Sant’ Eusanio del Sangro, Abruzzo. 100 year old, original condition, stone town house in the center of a lively village. Semi-detached and full of original character, including terracotta floors, majella stone arches and brick stairs, this property is for a lover of old Italian character and history. There are two public squares next to the property and open views, yet located in the center of town. The house has a garage which can be converted to a lounge, and the roof can be raised for a further 2 rooms, or for a fantastic sun terrace with mountain views that will knock your Spritz over! From the street level, enter into the kitchen with a bathroom, up internal stairs to 2 bedrooms and up internal stairs to the low roof. The house needs completely restructuring, but worth the effort. It is connected to electricity, water and they think also sewage. Sant Eusanio is located 10 minutes from Lanciano, an hour from Pescara International Airport, 3 hours from Rome, and 5 minutes drive to a fishing lake. Casoli, Abruzzo. Original condition 1900s, stone town house with 3 bedrooms, sun terrace, in a fantastic, typical Italian town. The property is 80sqm on 2 floors with open terrace and 2 bathrooms. The roof has been recently repaired and waterproofed. The main entrance of the house is on the ground floor, from which you access stone stairs to the first floor to find 2 large rooms, 20sqm each, used as bedrooms, with a second bathroom with a shower. There is also a second kitchen. Up internal stairs to the top floor, with a back entrance to a small square in the heart of the old part of Casoli. On this floor there is a kitchen with fireplace, and there are 2 bedrooms and there is a terrace of 12sqm recently waterproofed with a basic bathroom positioned on the terrace and an open valley view. There is also a rough single bedroom. There is plumbing and some radiators for central heating but there is no boiler and the plumbing would need checking. The roof has been recently waterproofed and repaired. Connected to the sewage, electrics and water. This property is badly presented in need of restoring but seems structurally sound. Casoli, Abruzzo. Three bedrooms. 100sqm town house with garden to restructure in the historic center of Casoli. It is walking distance to the shops, bars and restaurants, in poor condition and not habitable. Casoli is a most typical Italian village perched on top of a hill overlooking the mountains and sea. This house has a fantastic, open valley view. The roof has recently collapsed, but many of the other rooms are still in good condition. You can create a 3 bedroom, town house with a fantastic roof terrace and garden in this most beautiful town. Fara San Martino, Abruzzo. 3 bedroom town house located in a lively town , in front of a picnic area and spring water fall with 50sqm of garden and terrace. By buying both houses code n7250 and n7251 you can create a three bedroom semi-detached house with garden and terrace. The property would then have internal and external stairs to access the first floor, a fireplace, connection to water, electricity and sewage (need re-activating) and spacious outdoor terrace. In front of the house is a small garden and terrace and 50 meters away is plenty of free parking. There is a mountain backdrop dominating the view, plus a constant sound of rushing water from the springs. It is a very quiet spot and you feel quiet private. The house is walking distance to shops, bars and restaurants. Perfect also for mountain walks and close proximity to a lake. Casoli, Abruzzo. 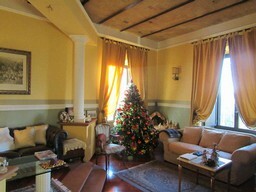 2 bedroom apartment in habitable condition in the center of a most Italian town, full of bars, shops and restaurants. The main door is on street level, opening into a lounge / dining room connecting to a bathroom with tub and a corridor going to two bedrooms. There is a balcony at the back bedroom with open valley views. Bomba town, Abruzzo. Spacious stone three (two double one single) bedroom terraced house in original condition, in the center of Bomba with shops, bars, and a public swimming pool, 3 km to lake Bomba offering full tourist activities. Located 30 kilometers to the beach, and about 40 mins drive to the ski resorts. A quiet spot 20 minutes drive find the antique city of Lanciano. The house has a separate private entrance into a corridor, connecting to the kitchen and dinning room. This can be easily opened up to one grand open plan space. There is a basic bathroom on this floor. Up internal stairs to a spacious double bedroom with a long balcony. Up internal stairs to a single and double bedroom with one small balcony. There are fantastic mountain views and the lake in the distance. It would be possible to create a terrace in the roof to enjoy the open views. Bomba, Abruzzo. Mostly finished, located in the old part of town, 500 meters to an open air swimmingpool, and 2km to lake Bomba. Enter the house from a few steps and terrace into the lounge / kitchen, up internal stairs (spiral) to the main double bedroom with balcony and mountain views. The cellar is accessed via one of two external entrances, and consists of two rooms, one is renoved the other is in original condition. Poggiofiorito, Abruzzo. Brick town house, in original condition from the 1900s with 2 beds and mountain views. Located in the center of the town in a quiet spot, with mountain views, 125 minutes to the beach, 10 minutes to the motorway, 15 minutes to Lanciano. The house has 4 rooms, 2 on the ground floor , with fireplace via a ladder up a trap door, there are two bedrooms with mountain views. The house has water and it is easy to connect to electricity and sewage. Bomba, Abruzzo.2 bedrooms. Stone, habitable terraced house, with courtyard, 3km to the lake and 1km to the swimming pool. This character full, quirky, town house is located in the old part of Bomba, famous for its lake, and offering basic shops and a public swimming pool. The main entrance is into a lounge and kitchen with fireplace, fireplace and access at the back to a 40sqm courtyard. Up internal stairs to a double bedroom with French Windows opening to a 20sqm garden. Up internal stairs to the attic with an old roof that will need renovating and can be renovated into a sun terraced roof with open views. Connected to water, electricity and sewage. 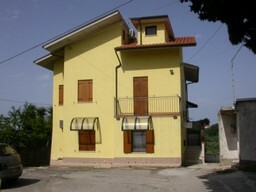 Tornareccio, Abruzzo, 2 bedrooms. Town house with barn and garden and open , beautiful views. Includes a fabulous terrace. The house seems structurally sound, in need of complete renovation. From the entrance patio, access the kitchen and the lounge with bathroom. Internal stairs take you to a small corridor with access to the bedroom. From this point you can easily open up to the terrace. Under the house is a spacious cellar. In the garden is a large barn, along side the council road. The house is on a slope and feels private. Bomba, Abruzzo. Located in the center of this typical Italian town with 2 beds and a cellar. A spacious town house located in the center of Bomba, a small, idyllic, typically Italian town, 1km to an open-air swimming pool and 3km to the lake. The property consists on a main entrance on the first floor, via an external staircase with a small balcony in front. The entrance is direct into the lounge of 30sqm with a vaulted ceiling. This could be made into a spectacular entrance. There is a small cooking area just off the lounge. Via internal stairs, to the first floor with 2 bedrooms, a basic bathroom and along the front there is a long balcony. The roof has a small leak and could be converted to a flat roof sun terrace. The views are mainly of the town. Located in the center of town means you can get to basic shops and the bar on foot. Connected to electricity, water, sewage and easily connected to gas. All utilities are presently switched off. Fara San Martino, Abruzzo. Stone, town house with fantastic sun terrace , 3 bedrooms in lively town. Located in the old part of Fara San Martino, built out of maiella stone, habitable of 110sqm , with 3 bedrooms, cellar and a fantastic sun terrace, overlooking the old town with mountain backdrop. The ground floor offers a kitchen with fireplace, lounge and basic bathroom, up internal stairs to 2 bedrooms, one double and one single, up internal stairs to the third bedroom and terrace area. The roof is flat, so the terrace can be extended easily. Under the house is a cellar with rustic kitchen and basic bathroom. The house is connected to electricity , water and sewage, and easily connected to mains gas. Bomba, Abruzzo. Nicely finished studio flat in the old town of Bomba with 1 bedroom. Located close to the public, open air swimming pool, yet, in the old town, this property is perfect for a small base for a couple. It is finished with separate WC and shower, small kitchen and lounge / bedroom. The space has been used to the maximum. There is a balcony with fantastic views of the area. The water , sewage and electricity is already connected and it is easy to connect the mains gas. Casoli, Abruzzo. 3 bedroom town house with open views in the historical part of a very Italian town. The property is on a town road which is rarely used, offering easy access. The property is 110 sqm on three levels and needs completely renovating. There are two cellars that can be converted into garages if required, the main entrance is via an external stair case into the kitchen, connecting to a small bathroom, lounge and double bedroom. Up internal stairs to a further two bedrooms. Up internal stairs to the loft space. As the property needs a new roof, this can be easily converted into a beautiful roof terrace offering fantastic open views. A real bargin for those who don?t mind getting their hands dirty. Bomba, Abruzzo, 1 bedroom. This top floor apartment is built on two floors and above it is the roof, that can be renovated into a 15sqm terrace. Each room is 20sqm making a total 40sqm apartment with two small bathrroms. It has a separate, private entrance, to the kitchen/lounge which is centrally heated. Via a spiral staircase, arrive at the first floor which offers the bedroom and en-suite bathroom. From the room are some very beautiful views of the mountains and valleys. The house is habitable and needs freshening up only fully centrally heated. It has water, electricity and sewage with the option of gas. Bomba, Abruzzo, 2 bedrooms. 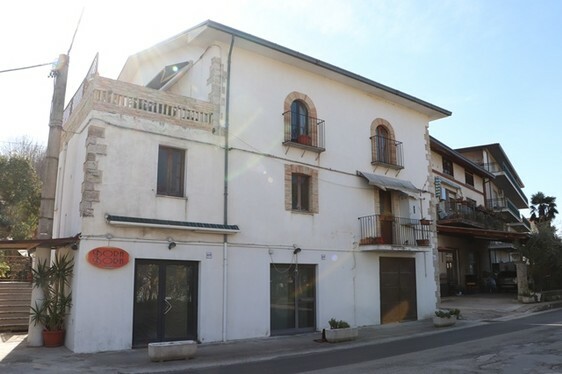 Original condition town house on three floors to renovate, located in the typically Italian town of Bomba, offering some local shops, public swimming pool and the picturesque lake. The rooms have vaulted ceilings throughout. The house has a cellar of 30sqm that can be renovated into a studio flat, entertainment room or kitchen/ lounge. Via external stairs, arrive at the first floor which is one large room of 25sqm. In front of the room is a 5sqm terrace and external stairs to the second floor. On the second floor there is a room of 25 sqm and a front terrace. From the terraces there is a fantastic mountain view. The house is stone from top to bottom and is connected to electricity, water and sewage with the option of mains gas. The building?s external walls seem solid, but the roof and one of the floors needs to be renovated. Fara San Martino, Abruzzo. 3 bed, stone, town house with garden and 3 terraces. Original condition 100sqm house, located in a lively , typical Italian town , fully loaded with public transport , tourist tractions, 40 minutes to different ski resorts and 30 minutes to the beach. The property is on three floors, there are two cellars, with original vaulted ceilings, up external stairs to the first floor offering two rooms , kitchen and a lounge with a balcony and terrace, and a cloak room with toilet. Up internal stairs, there are two bedrooms with a second bathroom, and another balcony, up internal stairs to a loft and terrace. The terrace is 15sqm with a mountain and town views. 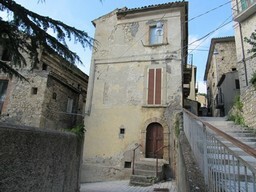 A large town house, in a cute town, with mountain views, which needs some renovations and in basic condition. Connected to water, electricity and sewage. 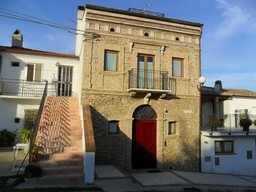 Castiglione Messer Marino, Abruzzo, 3 bedrooms. Town house, mainly finished, in a well service mountain town half an hour to ski resorts. The house has a council parking area in front of it with no problem to find a free space. The main door opens to stairs to the first floor offering a 20sqm kitchen / dinner with wood burner and nicely finished with a balcony towards the south. There is a second room used as a double bedroom, and the main bathroom with a shower. Up internal stairs to the main double bedroom, again nicely finished and the back bedroom is rough and needs finishing. From the back bedroom, there are mountain views. The house is located 1000metes above sea level, and heated from an electric fan and wood burning stove. Casoli, Abruzzo. One bedroom. Apartment in the historic center of Casoli, walking distance to the shops, bars and restaurants, in good condition and habitable. Casoli is a most typical Italian village perched on top of a hill overlooking the mountains and sea. This house has a fantastic, open valley view. The entrance from the road is into a small corridor, walk up a few steps to the lounge /dining room. There is a small balcony. The bathroom has a tub and is quite spacious. There is a small separate kitchen, with the possibility to demolish the wall and create one big room. There is a double bedroom, with balcony and open views with the sea in the distance. The house is 40sqm. The house is centrally heated with mains gas via a boiler. Poggiofiorito, Abruzzo. Brick 120sqm, 3 bed town house, with garden, parking, terrace and open views. In the center of this small town, walking distance to basic shops, restaurant and bars, yet 10 minutes to the city of Lanciano and 15 minutes to the beach. The property is easily accessible from the motorway. There is a drive way leading to the garden. The property is actually made up of 2 separate houses, which are easily connected. The older, original condition part has two rooms, one on top of the other and a loft space, with internal stairs. The property is brick. 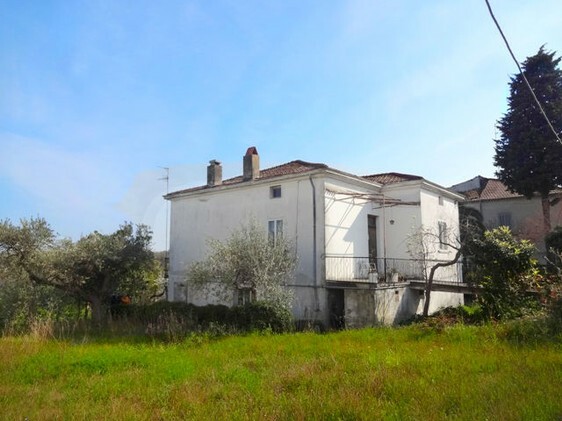 Alongside, there is a renovated property, but still in poor condition, with again one room on top of the other, except, there are 3 rooms extra on the ground floor, above which there is a spacious 15sqm terrace. In front of this house is a garden of 200sqm. Connected to electricity, water and sewage, and easily connected to mains gas. Civitella Messer Raimondo, Abruzzo. Habitable town house with two bedrooms, garden and cellar. It would be possible to convert the attic into a terrace or two other bedrooms. The house is made of stone and in the center of this quiet village. The main entrance accesses a kitchen with fireplace and separate dining room with a balcony. Up internal stairs to a corridor used as a second bedroom, which accesses to the bathroom with tub and main double bedroom with balcony overlooking a special mountain backdrop. From the bathroom you can access a long balcony. Up internal stairs to the attic. The roof seems dry and structurally sound, but is original so at risk of future problems. It is an option, to renovate the roof, creating a third terrace with fabulous mountain views. This is made easier as there is already an internal staircase. There is a gas connection to the house. The garden is not accessible directly from the house, but is very close. It could be easily converted into an off road parking spot for the house or just a simple garden and BBQ area with mountain backdrop. Lama Dei Peligni, Abruzzo. Mountain apartment with spacious terrace in a character full active town. The front door leads to exclusive stairs to the first floor to the apartment of 60sqm plus terrace. At the top of the stairs there is the kitchen and lounge with fireplace, from which you can access the bathroom, with toilet, sink and basic shower, a store room, a double bedroom (with Juliette Balcony) . From the kitchen there is a dining room with access to a 15sqm terrace overlooking the rolling green valleys. There is also a small room for a single bed, There is access to the attic via an internal stairway which could easily be converted into a terrace. The structural walls are stone with no signs of structural problems and leaks. Connected to the water, electricity and sewage. Easy to connect the property to mains gas. Caldari, Abruzzo. 2 bed , finished town house in small village 10km to beach. This old brick town house is built on three floors, the entrance is at ground level from the quite road in front of the house direct into the lounge kitchen with cloakroom. Up internal stairs to the first double bedroom with balcony, walk through this room to the internal stairs to the last floor with bedroom, balcony and shower room. The roof is dry with asbestos, and could be converted into a terrace. This has has mains gas central heating throughout, and is connected to water and electricity and sewage. The town has basic services but the motorway, beach and more modern town are easily accessible. You can also rely on public transport. 5km to Ortona. Bomba, Abruzzo. Habitable two bedroom, town house,with garden, located 2km from Bomba and offering open lake and mountain views. Comprised of two floors, the ground floor are two cellars that can be converted. The first floor is accessed via external staircase and made up of kitchen, two bedrooms and a lounge. There is a back balcony on the main bedroom overlooking the lake. Tornareccio, Abruzzo. Town house with a solid structure, 2 bed, panoramic sun terrace and 1000sqm of garden. This original farm house is located in a small village with a restaurant and basic shops, 3km from the center of Tornarreccio, the town famouse for its honey and mozzarella. The house is on 2 floors of 50sqm each. The ground floor is made up of two large rooms, with vaulted ceilings. Via an external entrance arrive at the first floor which is a has 4 spacious rooms, and access to a panoramic terrace over-looking the valleys. The house is semi-detached, with a sloping garden. It is connected to electricity and water, and easily connected to sewage and gas. There is no bathroom currently in the house. Habitable town house with1 bed, located centrally in a lively, popular town. This original 50s town house offers a lounge, kitchen internal stairs to a double bedroom with balcony and a bathroom with shower. It would be easy to create internal stairs to a new terrace by demolishing the existing roof, at a cost of around Euro 10,000. The house has mountain views but the sun terrace would offer fantastic open views. The house is connected to electricity , water and sewage. Bomba, Abruzzo. Stone structure, 100sqm town house with 2 beds and 2 cellars, 1km to an outdoor pool, 4km to the Lake. The property is quite spacious and offering 2 spacious bedrooms, with a roof recently restored. I would recommend opening a new sun terrace which would offer amazing views. From the main entrance of the house access the kitchen lounge, with a fireplace. Up internal stairs to a double bedroom and along a corridor there is a bathroom with shower and long balcony with mountain views. Up internal stairs, to a double bedroom with 2 windows and a balcony. Water stains on the roof are from prior to the works to repair the roof, I am told. Under the house there is a large cellar, and also next to the cellar, under the neighbour’s house, there is a second cellar. It would be easy to connect the main house with the cellar via internal stairs. The cellar is dark and damp but could be converted into a useful space. Connected to water, electrics and sewage. Roof repaired recently, and waterproofed. Bomba, Abruzzo. 3 bed, 2 baths, terrace, spectacular mountain views, habitable , 1km from an outdoor pool. This character full apartment in a stone structure sits on the main high street of Bomba, 100 meters from the shops and bar. It is 1km to the local outdoor public swimming pool, 3km to the lake and 30 minutes to the beach. It is constructed on 2 floors, the top floor has a kitchen , lounge and bathroom, with terrace. Down internal stairs to 3 bedrooms and a second basic bathroom, with a balcony. The view is quite spectacular. To house is habitable in need of modernising. Connected to electricity, water, sewage and easy to connect to mains gas. Palombaro, Abruzzo. Fantastic mountain views from this 2 bedroom town house in the high street with garden and cellar. The front door leads to some steps down to the kitchen. From the kitchen there is access to a larder which could be used as an extension to the kitchen. There is also access to 2 bedrooms, one of which has an en-suite bathroom. The other bedroom has a fantastic mountain view. Under the apartment of 50sqm is a cellar which can be connected to the main house. The cellar is 20sqm and is at the same level as the garden of 50sqm with a fig tree, walnut tree and peach tree. Connected to the electrics and water with basic wiring and plumbing. Casoli, Abruzzo. 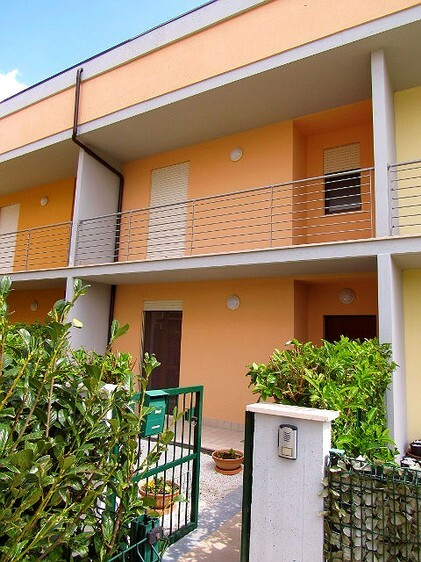 Recently renovated, 2 bed, garage town house in typical Italian town. 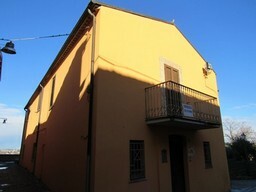 This property is located in the center of the old part of Casoli, 500 meters to shops, bars, restaurants – fully loaded. The property has a much needed garage, above which is the two floor house. There are steps leading to the front door, from which you can access the lounge kitchen with balcony, up internal stairs to the night area with 2 bedrooms – could be 3 with some work, a spacious bathroom with shower and balcony. The roof is new, and the property is newly renovated with gas boiler central heating. With a further Euro20,000 circa you can finish the house completely. Connected to electricity, water , gas and sewage. San Vito Chietino, Abruzzo. Studio flat with 2 bed in a quiet spot, located in a lively town 5 minutes walk to the beach. The entrance is from a pedestrian area, direct into the kitchen / diner with a vaulted ceiling. From there it connects to two bedrooms, and a kitchen. Just outside the apartment , along the walkway is a fantastic sea view. Fara San Martino, Abruzzo. Solid stone structure, 3 beds, garage, 120sqm, in an active town full of Italian character. Located in the center of the old part of town, this town house is a five minutes’ walk to all of the facilities – bars, restaurants, shops and sports. It is a well maintained town due to the success of the local pasta factories. On a quite road with a garage, the property is 120sqm on two floors, the main door is on the ground floor leading to a stair case going up to the first floor, with a cloak room and toilet positioned close to the door. On the first floor there is a landing from which you can access the kitchen, lounge, and two bedrooms. The roof is flat and seems dry, offering an option to create a sun roof terrace. The property seems in fine structural condition and the rooms need a little modernising. Both floors are 60sqm. From the garage you can access the ground floor, again 60sqm. It is effectively one large room used as garage and work shop. This could easily be converted to a living space with internal access to 3-4 bedrooms and access to a roof terrace. This property offers many possibilities. The house is connected to water, electricity and sewage with easy access to mains gas. Villa Santa Maria, Abruzzo. Two bedroom town house in original stone, in the old centre of this lively town, famous for its cookery school and location on Lake Bomba. Half way between the ski resorts and the beach this is full of Italian charm. The house is constructed on three floors. There is a very spacious cellar of 60sqm under the house. The main entrance goes straight into a spacious kitchen and then into a lounge. There are internal stairs to the first floor consisting of two bedrooms and a bathroom. There is a balcony and terrace of 5sqm. Tornareccio , Abruzzo at the town Tornareccio, Abruzzo. Town house in habitable condition, offering a beautiful, open terrace. The house is stone, needing modernising but in good condition. There are two bathrooms, a kitchen, lounge and three bedrooms. There is a utility room that needs renovating. Bomba, Abruzzo. Traditional town house in the center of this old Italian town. 100 meters from the old center, offering basic shops and a bar and restaurant. 2 km from the house is a fantastic open air public swimming pool and 4km from the house is a beautiful lake, perfect for fishing, walking and water sports. Just of the lake is an international cookery school. The property has a terrace in front of the entrance which leads into the kitchen / lounge. The kitchen has a fireplace and there is a shower room inside. There is an external staircase to the first floor with access to a double bedroom with bathroom and balcony. Up internal stairs to the second double bathroom. The house is heated with gas radiators, and connected to the water, electricity, gas and sewage. Under the house is a 50sqm cellar, with old vaulted ceilings and plenty of character. Traditional town house in the center of this old Italian town. 100 meters from the old center, offering basic shops and a bar and restaurant. Tornareccio, Abruzzo. Located in a quiet spot, in a well serviced hamlet close to Tornareccio, famous for its honey and mozzarella. The house is built on three floors, renovated open plan cellar, the first floor offering kitchen and lounge with small bathroom and on the top floor two bedrooms. The internal staircase needs changing and there is no internal access to the cellar. There are open views of the countryside, and in front of the house there is a 200sqm garden. Included are three other strips of land. Bomba, Abruzzo. Original condition town house in the center of this typically Italian village. With open, fantastic views of the mountains at the back, this property can be an easy to manage escape to a village popular with visitors for its lake and historic center. From the front door, enter into a kitchen diner with a balcony at the back, up internal stairs to two bedrooms. Bomba, Abruzzo. Fully renovated 2 bed town house with fantastic mountain views and cellar. A terraced property, located on a small side road in the town center the property is constructed on 3 floors. The town offers an out door public swimming pool, it is 3km to the lake and there is a restaurant, bar and basic shops. The property has been nicely renovated with original character and offers a cute fireplace in the kitchen. The ground floor entrance is direct into the kitchen diner with bathroom , then via internal stairs there is 1 large bedroom. Under the property are two cellars and in front of which is a 10sqm patio perfect for table and chairs. The cellars need renovating. The property is heated with electric heaters. It is connected to electricity, water and sewage. Bomba, Abruzzo, 2 bedroom. Stone built, semi-detached town house in the old center of Bomba, full of character and local shops. The house has four rooms, the entrance / lounge with balcony offering mountain views and pellet burner. Via internal stairs arrive at the main bedroom with bathroom and shower, and two balconies, one towards the mountains the other towards the old part of town. Down internal stairs there is a utility room which can be converted to bedroom, with bassic bathroom. Under this room, via external entrance there is an old cellar / grotto to be renovated. Electricity, water, sewage and gas are connected. Heating is via pellet burner and electric heats also supplying air conditioning. There is a little damp in the basement and water in the grotto. Carpinetto Sinello, Abruzzo,4 bedrooms.Town house with 80sqm terrace, habitable with garage. Two floors of a three floor block making 200sqm of house, located in the center of a quiet town , with bars and basic shops all walking distance, and on the edge of a fabulours forest. The entrance to the house is on street level, into an entrance hall, with cloak room, up internal stairs to the main apartment with an entrance hall leading to lounge, kitchen, bathroom with tub, dinning room, and two bedrooms (double and single). There is a balcony running around two sides of the house and terrace. Up external stairs to a flat, waterproofed, roof, with safety wall for a great panoramic terrace. Part of the roof is attic that can be re-built to create a kitchen. Down internal stairs from the entrance of the house there is a 100sqm basement, mainly one big room, perfect for entertaining, with bathroom and access to the garage. There is also a garage and private courtyard of 50sqm. The central heating is an old diesel system that needs renovating. Paglieta, Abruzzo. Centrally located, habitable, 2 bed, town house with terrace in a typical Italian town. This traditional house comprises of three floors, the ground floor offers a lounge, kitchen and cloak room, with internal stairs to the sleeping area, with two bedrooms and a second bathroom. There is a balcony off one bedroom. Via internal stairs you arrive at the roof area, with a loft that can be converted to a third bedroom with a fireplace, and from there you have access to the 20sqm sun terrace overlooking the town below you. The property is perfectly located in the center of town for easy access on foot to all of the local shops, bars and restaurants. The house is connected to water, electricity, gas, and sewage. Tornareccio, Abruzzo. A character full town house already renovated with three bedrooms and a 20sqm garden. It offers open views in a peaceful location. Located in a hamlet close to a village famous for its honey production. In need of modernising and the cellar can be renovated. Taranta Peligna, Abruzzo. Detached, stone town house of 120sqm with garden , out buildings and mountain views near the ski resorts . This typical , original building from the 50s is a fine example of the architecture from the time with a distant sound of rushing water down the mountain side. Composed of 100sqm garden, four rooms (2 on the ground floor and 2 on the second floor) with attic space and balcony, off-road parking, long drive. The ground floor offers kitchen, with a fireplace and a lounge. On the first floor are 2 bedrooms. It has a basic bathroom connected to the sewage. The structure seems solid and dry. The attic can be dismantled and converted into a fantastic roof terrace with open amazing mountain views. In the garden there is a long stone shed used for wood storage and chickens. The property is located close to bars, restaurants and shops and a national park area for gentle walks and picnics. In the garden there are a few fruit trees. Tornareccio, Abruzzo. Stone town house of 80sqm with garden, garage, barn and panoramic terrace. Three bedrooms. The main house offers two rooms on the ground floor, lounge and kitchen, both with access to a fantastic panoramic terrace, and up internal stairs to two bedrooms and a basic bathroom. The bedrooms both have balconies. The roof seems dry and solid. From an external drive, with gate, you can access two cellars under the main house. Connected from both the terrace and drive there is a second house of 40sqm , one up and one down, to renovate. Again the building seems solid. There is no internal stairway. There is a 500sqm garden from the drive with various fruit trees. Next to the house is a third stone building of 30sqm offering a double garage. There is mains gas that needs to be connected , an old central heating system with diesel boiler . The house has water, electricity and mains sewage. Lanciano, Abruzzo. 4 bed, vaulted ceilings, in the old part of the city of Lanciano with terraces and fantastic views. Original condition, 4 bedroom town house with original stone and brick, and vaulted ceilings, in the old part of Lanciano. The property is 140sqm, with 2 terraces and 2 balconies and open views across the old rooves of Lanciano , up to the Cathedral dome. Being in the center of town, allows you to reach all of the shops, bars and restaurants on foot. The property is split into 2 houses easily connected as one, but with two separate entrances (owned by the same person). The one side has 90 sqm net living space, and the other 50sqm. The house is built on 4 floors and from the top there is the roof and terrace. The property seems solid and dry but in need of restructuring. Lanciano is a thriving city, growing and with many tourist attactions (Eucharistic miracle and Cathedral built on a bridge). The house is connected to sewage, water, electricity and mains gas (all need switching back on). Original 200 year old town house in sound condition, 240sqm with terraces. Sant’Apollinare, Abruzzo. Original 200 year old town house in sound condition, 240sqm with terraces. This property is for lovers of historic buildings. Partially renovated, the roof and structure seem sound, and the walls are made out of original brick and the vaulted ceilings still in fine condition. The main entrance is presently on the first floor, up external stairs to a terrace in front of the main entrance. There is a kitchen, bathroom, lounge and dining room. Up original, internal stairs to the sleeping area with 3 bedrooms each with old vaulted ceilings and original tiles from the turn of the century. It would be easy to open one of the external walls to access a terrace. Internal stairs lead to the roof that can be converted to a sun terrace with magnificent views. On the ground floor are original , brick with vaults, cellar offering 200 year old character. There is a drive and covered car port, there is also a garage door for parking in the cellar. Connected to water, electricity, sewage and easily connected to mains gas. Fara San Martino, Abruzzo. 2 bedroom stone house in the old part of this typical mountain town and completely renovated with private patio. This town house is made up of two parts, the main house of 70sqm, and in front of which is a cellar of 30sqm. The main house is completely finished, to a high quality. The front door to the property leads directly into the lounge with fireplace and nicely finished. Some of the stone has been revealed as a decorative effect. Through the lounge arrive at the kitchen, with an in-built kitchen , again nicely finished. From the kitchen there is a bathroom with a small / half tub. The kitchen has a back door leading to an enclosed patio with some mountain views, of about 15sqm. Up internal stairs (spiral staircase in the kitchen) to the night area with 2 bedrooms, one being a converted attic with a skylight in the roof and low height, and the second is a normal double bedroom. The house is fully centrally heated. The first floor has 2 air conditioning units in the 2 bedrooms. The house is connected to sewage, gas, electricity and water. The cellar in front of the house has no utilities connected and is circa 30sqm with a high celling. There is some evidence of damp. Lanciano, Abruzzo. 4 bedroom, 170sqm, stone structure built around the 1900s in Lanciano center, habitable, with vaulted ceilings and terrace. Located in the historic center of Lanciano, a busy, typical, Italian city with many tourist attractions including a Cathedral built on a bridge, a Eucharistic Miracle, mediaeval re-enactments (mastrogiurato) and 10 minutes drive to the beach. Around every hour there is a direct bus to Rome, and trains / buses to the beach. This property offers a lot of space for the price, and seems structurally sound and dry on 3 floors. The roof needs checking, and some doors and windows need restoring. There are two bathrooms connected to the sewage and there was electricity and water connected (easy to re-connect). The property is poorly presented, very dirty and full of pigeons. With a little imagination there is a fantastic town house at an interesting price. 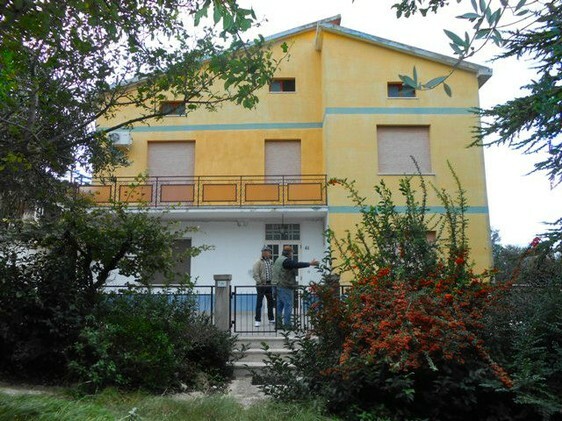 Torino Di Sangro, Provincia di Chieti, Abruzzo, 3 bedrooms. 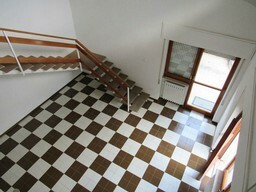 Town house in a lively spot, near shops and 500 meters to the old center of Torino Di Sangro. In habitable and original condition, offering an old brick structure which is mainly sound although part of one room is cracked. There is an entrance to a kitchen and bathroom with a fireplace, then up internal stairs to two bedrooms. Another room in bad condition can be partly demolished to create a fantastic terrace with sea view. Located 7km to the beach. Castel Frentano, Abruzzo. Four bedroom character full town house, with fantastic views in habitable condition. Located in the center of town, just in the outskirts of the historic center, this nicely positioned house looks out to the most fantastic mountain range view. The house has a shared patio in front and from the main entrance, into a spacious kitchen, from which you can access the kitchen and a cloakroom. The room can easily be opened into one large space. Up internal stairs to the first floor with two bedrooms and a bathroom and a balcony. Up internal stairs to the second floor offering a terrace that has been covered with open mountain views. You can access two bedrooms, one having a balcony. Work you can consider is to create a new stair case to the roof, re-building the roof on one side and uncovering it on the side with the mountain views will offer a fantastic open mountain view. Connected to electricity, water, sewage and mains gas. Casoli, Abruzzo. 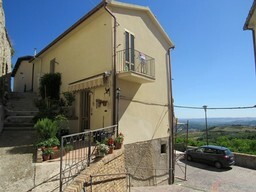 4 bedroom town house , restructured, with panoramic terrace in the historic part of Casoli, a typical Italian Village. The property needs finishing, it is missing fixtures and fittings, tiles and sanitary ware. The roof and structure have all been nicely restructured already. The house is 120sqm and constructed on two floors. Casoli, Abruzzo. Town house, 4 bedrooms, garden and off-road parking in the center of this very Italian town. You will find yourself immersed in Italian life with bars and shops at your doorstep, once a week the market in front of you yet, behind the house, a separate entrance for the car with a garden and off-road parking. From the high-street, enter the house into the kitchen dinner, and from internal stairs access a small bathroom and two bedrooms, and then from internal stairs, access the second floor with the third bedroom and open valley views. Under the house is a cellar / entertainment room at the same level of the garden offering the potential for an excellent barbeque area and space for your kitchen garden. The house needs modernising, with old electrics and a basic bathroom, but habitable. The roof and structure seem sound and dry. The house is easily connected to gas. There is no central heating. Bomba, Abruzzo. Rustic finishing?s, with breath-taking views , completely finished, includes 3 bedrooms. This already renovated town house is full of original character with two sun terraces with open , fantastic mountain views. The property has two bathrooms and three bedrooms. Located in the center of this character full town, hald a mile to an open public swimming pool and 2 miles to the lake. Frisa, Abruzzo. Habitable town house, comprising of patio, drive, then enter the house to the lounge / kitchen with downstairs bathroom. Up internal or external stairs to the two bedrooms and a second bathroom. There are two balconies, one has a sea view. Located in a small town, 10km to Lanciano, 5km to the beach and 3km to Frisa center. Casa indipendente, davanti patio, e consiste di soggiorno / cucine con bagno piano terra, scala interna e esterna per raggiungere il primo piano con due camere da letto e secondo bagno. Casoli, Abruzzo. Apartment from the 1800s, nicely finished, with two bedrooms, and open beautiful views of the mountains and the old town. The main entrance is into the kitchen, from a nice historic square, next to the old castle. The kitchen has a built in kitchen furniture, with a small area for breakfast and fire place. Connected to the kitchen is a large room with vaulted ceilings, this can be a lounge / dining room or with a little renovating, a second bedroom. From this room there is a bathroom with shower and the main double bedroom with balcony and mountain views. The is central heating throughout the property and it has been completely renovated to a high specification. Fara San Martino, Abruzzo. Two bedroom town house with terrace and garage. Located in this lively town, in a sunny spot, walking distance to all the facilities and the national park. This town has been kept well maintained thanks to the success of the local pasta factories which have also created very pretty tourist spots of natural springs. The property seems of sound structure and dry. The main entrance to the house is on the first floor via a spacious terrace. The entrance is direct to the kitchen with fireplace and separate bathroom. Below the terrace is a double garage. Up an internal , confortable staircase to a double bedroom with balcony. Up an internal staircase to a double bedroom with balcony towards the valleys, some mountain view and town view. Up internal stairs to the attic, which could be converted to sun terrace. There is central heating throughout the house via an old diesel boiler which may need replacing. Connected to water, electricity and sewage. Casoli, Abruzzo. Four bedroom town house, in the old part of Casoli. Located 500 meters to shops, bars and restaurants, the house is habitable with central heating, mains gas supply, in need of modernising. There are two separate entrances offering flexibility on and internal changes you wish. Easily accessable by car with free parking 20 meters away. Civitella Messer Raimondo, Abruzzo. Detached, stone build, hill top, panoramic position with amazing mountain views. Perched on top of a hill, with an open, amazing mountain backdrop which seems to go on forever, this town house feels lost in the countryside yet surrounded by a warm, Italian mountain community. The outside has revealed majella mountain stone and the structure and roof seem sound. Around the house is around 1000sqm of garden, with a drive for parking. The house is partially renovated, and extends to 180sqm on 3 levels. There are 2 terraces as well as the garden to sit back and enjoy the views. Walking distance there are basic shops, and 5 minutes drive is the lively town of Fara San Martino, 10 minutes drive is lank Casoli and 15 minutes drive is Casoli town center. Pescara International Airport is 60 minutes drive and Rome is 3 hours away. The internal walls are mainly non existent so you can organise the property as you wish. It is connected to electricity, water and sewage. Ortona, Abruzzo. Spacious town house with courtyard from the turn of the century, includes barn and out building. The main house has a grand entrance leading to two floors of bedrooms with around 4 ? 5 beds and access to a panoramic sun terrace. Attached is a house in need of restructuring, included in the sale, which can create a separate two bedroom apartment. At the courtyard there is a barn and store room both of which could be converted to more units. Located 10km to the beach and 5km to the motorway and near a flourishing industrial area this offers an excellent opportunity for a bed and breakfast. Paglieta, Abruzzo. Habitable town house in the lively town of Paglieta, with two terraces, and views accross the Sangro Valley. On the ground floor there is an entrance kitchen, lounge and cloak room / WC, on the first floor a double bedroom, single room and main bathroom (with bath) and terrace, then on the third floor (loft conversion) there is a kitchen, bedroom and terrace. Centrally heated. Composta da 3 piani,piano terra: ingresso, cucina abitabile, soggiorno e un piccolo bagno di servizio con wc e lavandino; primo piano: camera matrimoniale con terrazzo, cameretta e bagno principale con vasca; secondo piano mansardato: piccola camera matrimoniale, cucina con ampio terrazzo.Locale caldaia esterno, con funzione di piccolo ripostiglio. Lanciano, Abruzzo. Finished, 3 bed, 2 bathroom town house in the old part of this historic city walking distance to shops, bars, restaurants and public transport. The property consists of 2 floors, from the ground floor walk up 3 steps to the entrance into the lounge, with cloakroom. From the lounge you can access the kitchen and stairs. Behind the kitchen is a larder and second entrance to the property. Up the internal stairs to 3 bedrooms and a bathroom with hydromassage shower. Most rooms have both air-conditioning and ceiling fans. There is the option to buy a garage for Euro 25,000 50 meters from the house (same owner). A great base or your Abruzzo adventure. Fully centrally heated with mains gas, completely habitable. 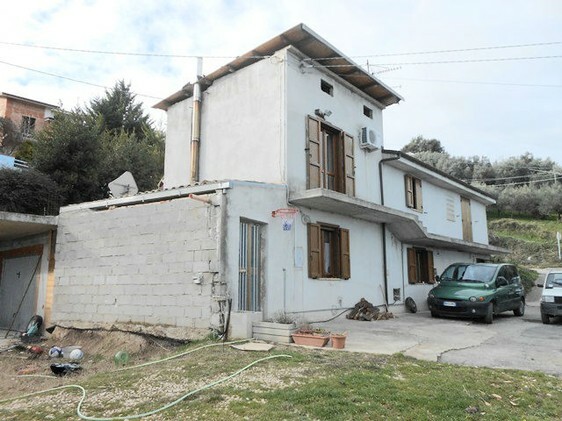 Poggiofiorito, Abruzzo, 3 bedrooms. Fully renovated original 1800s semi-detached town house in the center of Poggiofiorito, a lively town with restaurants, bars and shops. 15km from the beach and motorway (A14) via a long straight road and 40km to the mountains and local ski resorts. It offers a 200sqm garden with fence and spacious 20sqm terrace with open valley views. Around the house is a fenced-off patio. The entrance is into a 40sqm grand open room with vaulted ceilings, recently renovated with exposed brick, and access to the kitchen which seems a good size. Through the grand room there is a corridor that leads to an dinning room with modern bathroom and shower. Internal stairs going to the first floor from which there is a corridor to access two bedrooms and a bathroom with bath tub. All rooms have vaulted ceilings that are plastered white, but the brick could also be revealed. The main bedroom has access to the 20sqm terrace with beautiful views. The house is an original late 1800s with an extension. The extension has a new roof with exposed, treated wooden beams adding further character. Fully centrally heated with mains gas, and connected to water, electricity and sewage. Presently connected to to telephone and broadband internet. Located next to a fabulous stone registered building, recently renovated. Casa semi-indipendente recentemente rinnovata lasciando tutto il carattere originale , per esempio volte con le mattone a vista nel soggiorno di 40mq. Incluso c?è un giardino di 200mq ed un patio, tutto recintato. Situato al centro di Poggiofiorito nella Province Di Chieti, 15 minuti sia del autostrada che dal mare, e 40 km dalle montagne. Ci sono due bagni e 2 o 3 cammere da letto. C?è un terrazzo di 20mq con vista bellissima delle valle. La casa ha riscaldamento a metano. Bomba, Abruzzo. Recently and completely renovated stone town house of 100sqm built on 2 floors. Bomba is a typical Italian town, lived in all year round. It offers an array of tourist activities Currently, the property is being used as a shop but can easily be converted into a house. The renovation has revealed vaulted ceilings and stone arches which fill the space with character. The ground room is one large space with a staircase leading upstairs to a second large room with a small bathroom. There is a balcony with mountain views. The roof is new and the structure reinforced. The property will need to be divided into rooms and can easily fit two bedrooms and a spacious bathroom. Lanciano, Abruzzo. 2 bedrooms. Duplex apartment in the historic center of Lanciano, renovated with 30sqm panoramic terrace. The property is on the third and fourth floors of this historic block, made up of a spacious entrance room which can be converted to a kitchen, from which there is access to a large bedroom, bathroom with a balcony. Up internal stairs to the attic conversion, with a large lounge and kitchen linked to the terrace, offering wide open views. Centrally heated from mains gas. Lanciano, Abruzzo. Finished, two bed town house in the old part of Lanciano, walking distance to the city center. Offering central heating, three bathrooms, two kitchens and two balconies. The main door opens into a corridor taking you to the ground floor kitchen / lounge and bathroom. Up internal stairs to a second kitchen with balcony, bathroom and bedroom. Up internal stairs to the main bedroom with en-suite bathroom and balcony. Casa indipendente nel centro storico di Lanciano già ristrutturata. Consiste di tre camere da letto due cucine e un soggiorno. Lanciano, Abruzzo, 2 bedrooms. Finished apartment of 50sqm in the medieval center of Lanciano with good views from the balcony and a cute square in front of the house and 300 meters to the center of this amazing city. The apartment has a shared access to the main door on the first floor. Through which enter into the kitchen lounge with fireplace and central heating and balcony. Up internal stairs to the sleeping quarters with two bedrooms , one double and the second single, and the bathroom with shower. There is air-conditioning. The block was built in the 50s and the apartment offers some character. A perfect spot for an easy maintenance property in this great city. Torricella Peligna, Abruzzo. Two 60sqm floors of a three floor building with garden and the terrace 300 meters to the town center. The property includes the ground and first floor excluding the top floor, with two drives, and three garages. From the front door access the ground floor apartment in need of modernising, with a lounge / kitchen, bathroom and bedroom. Via internal or external stairs there is the second floor apartment with a long front balcony and a 30sqm terrace at the back. The apartment is recently renovated with 2 double bedrooms, a lounge, kitchen and bathroom. The faciade of the block has been recently completed and the terrace rebuilt. The property has some mountain views, in a quiet spot 300 meters to the center. Paglieta, Abruzzo, 3 bedrooms. A perfect holiday home for those looking to avoid builders, and lay on the terrace all day under the sun. It is located in a lively and traditional town with shops, bars and restaurants. The main entrance is to a small corridor connecting to the kitchen, and lounge. Up internal stairs to two bedrooms and the bathroom, with shower. The bedrooms are connected by one long balcony. Up internal stairs to the third bedroom and spacious terrace. There is a small out building that can be renovated, or used to expand the kitchen. There is also a raised platform that can be converted to off-road parking. The house is fully centrally heated. Bomba, Abruzzo. 4 bed, habitable, town house with fantastic mountain and lake views from 20sqm sun terrace. A semi-detached property, located on a small side road in the town center the property is constructed on 3 floors. The ground floor is made up of cellars, the first floor is the living area, with lounge, dining room and bathroom, via internal stairs access the night area with three bedrooms and access to two fantastic terraces with breathtaking views. The town offers an out door public swimming pool, it is 3km to the lake and there is a restaurant, bar and basic shops. The property is connected to water, electricity, sewage and uses the fireplace to centrally heat the property. Crecchio, Abruzzo. 4 bed habitable with fantastic roof terrace and garden in lively town made of stone. This 4 bedroom, 3 bathroom town house is built mainly from stone and offers some nice features. On the ground floor there is the entrance to a lounge dinning room and kitchen with two bathrooms. Up internal stairs to the sleeping area with a bathroom and two bedrooms and then up ointernal stairs to the second floor again with two double bedrooms. There is a metal stair case to the sun terrace on the roof offering fantastic town and valley views with distant mountains. Located 20 minutes to Lido Riccio beach, in a very beautiful characterful town with bars restaurants and a famous castle. The property has heating via an old gas boiler and electric heaters. The property needs some modernising. Connected to water, electrics, gas and sewage. 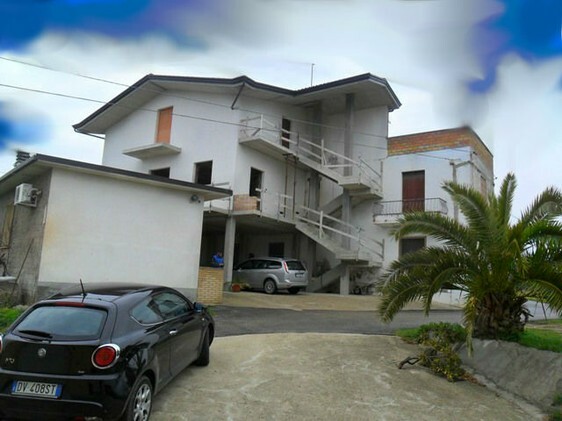 Rocca San Giovanni, Abruzzo, 3 bedrooms.Town house, almost finished, with panoramic terrace, 5km to the beach. The town has been certified one of the most beautiful hamlets in Italy, and this semi-detached house is 100 meters from the main square. From the terrace enjoy both sea and mountain views. The house is built on four levels, each floor around 30sqm. The main door opens up to a landing to access the ground floor or the stairs to the first floor. The ground floor can be an entertainment room or garage with a little damp on one of the walls with original vaulted ceilings. Up internal stairs to the day area which is composed of kitchen and lounge with three balconies. Up internal stairs to the sleeping area with two bedrooms one double and one single, and a bathroom with a tub. Up internal stairs to a small room, used as a utility room but could easily be a kitchen, with access to a 15sqm panoramic terrace with a view of the mountain and sea. There is gas central heating and the wiring is functional from the 80s. The house is free on three sides. Castel Frentano, Abruzzo in Town, 4 bedrooms. Semi-detached house with 500sqm of garden is located in the center of Castel Frentano, a busy town bordering the city of Lanciano. You can rely on public transport and walk to all amenities. The house offers fantastic valley views and is in a habitable condition. The entrance of the house leads into a hall with internal stairs up to the first floor. From the hall access a spacious lounge, dinning room and the kitchen. Up internal stairs to find the main bathroom with tub and a double bedroom. Up internal stairs there is separate access to a further two bedrooms. From a double bedroom there is also access to a covered terrace with access via a ladder to the loft space. The garden is fenced and flat. It has various fruit trees and feels quite private. You also have off-road parking. Central heating is throughout the house including hot water. The house is mainly double glazed and needs re-wiring. The land has building rights which allows an extension and the possibility to add a garage. It is near a main road from Lanciano through Castel Frentano towards the mountains and very close to a small train station that is presently disused. Connected to electricity, water, sewage and you can easily request mains gas. Located in Castel Frentano, 15 km to the beach, about 40 minutes drive to the ski resorts. A quiet spot 5 minutes drive to the antique city of Lanciano. Casalbordino, Abruzzo. Excellent investment property in a beach town. Spacious town house with 80sqm terrace and four garages. The house is split into two, a main house and a small apartment offering two rental incomes from holiday makers. Then there are four garages, each rented at Euro 50, already rented out, offering Euro 200 in rental income. The house is in a good state, needing modernizing. The main house consists of two bedrooms, a bathroom and lounge and kitchen. There is access from a bedroom ont the 80sqm terrace. The ground floor apartment has one bedroom, bathroom and kitchen / lounge. Located in the center of a thriving sea side town with all the facilities. Castel Frentano, Abruzzo. New 2 bed apartment with 30sqm terrace and garden in the town centre. This ground floor apartment is brand new and built to a high specification. The property is built on 2 floors with external access on each. In front of the property there is a mountain view from the private terrace with a chimney for external barbecue and garden. Offering an open lounge and kitchen grand room and utility room and bathroom. Up internal stairs to the sleeping area offering two bedrooms and a bathroom. The house has off-road parking included or you can pay an extra Euro 15,000 for a double garage. Bomba, Abruzzo. Recently renovated stone town house with 2 sun terraces and the most amazing mountain views. Located in the old part of this typical Italian town, 500 meters to the center, 1km to an open public swimming pool and 3km to a very beautiful lake, with a bar, restaurant and basic shops walking distance to the house. The renovation created two terraces, both with amazing mountain views, and a feeling of privacy. The house has 2 entrances from the front road, to reach the front door you walk up 3 steps and the solid wood door opens into an old, character full lounge with vaulted ceilings and stone walls, where some of the stone has been revealed in places with a wood burning stove. From the lounge access the dinning room and stairs to the first floor. From the dinning room access the kitchen, down 3 steps. The kitchen has a new roof with the wood revealed and finished nicely. From the kitchen is a bathroom with shower, there is also and door to the front of the house, with a covered patio and access to the back terrace and garden. Up to the first floor there is the main bedroom with en-suite bathroom and balcony, and on the other side of the stairs, is the terrace with a spectacular view and plenty of sun. From the kitchen there is access to the outside patio and garden. The patio is nicely finished and feels private. The garden of circa 100sqm is badly maintained. Under the house is a cellar that has also been renovated and the stone revealed which can be used as the second bedroom. The whole house is centrally heated connected to mains gas, sewage, electricity and water, renovated to a high quality and has become a gem of the town. Torino Di Sangro, Abruzzo. Finished town house with sea and mountain views, 7km to the beach. This terraced property has an elevated entrance with a porch. The front door leads directly into the kitchen lounge, grand room, behind which are two storage rooms and a nicely finished bathroom. Up internal stairs to a spacious bedroom with roof terrace overlooking the mountains. Under the main house is a large basement that needs renovating that could be converted into another studio flat. There is off-road parking in front of the house and two 10sqm gardens, front and back. Located walking distance to various restaurants and bars and local shops, and 7km to the beach. Paglieta, Abruzzo. Third floor apartment with lift, offering spacious 30sqm terrace with mountain view, and located in the center of town. Comprises of lounge/ diner, kitchen, two bedrooms and two bathrooms. There is a private car spot and an option to buy a garage for Euro 20,000 and a further floor for Euro 50,000. Bomba, Abruzzo. 200-year-old Duplex apartment of 160sqm , 4 bedrooms, in the main square of a historic town with vaulted ceilings. Located in the main square of town, next to bars, shops and pizzeria, 1km to a public, out-door swimming pool and 5 km to Lake Bomba, 20 minutes to the beach, 50 minutes to the airport and 20 minutes to Lanciano. The property consists of a private entrance into a ground floor reception room with stone walls and vaulted ceilings. Up internal stairs to the first floor apartment with spacious and open , grand, kitchen lounge and 2 bedrooms (one can be divided into 2 rooms) and long balcony. The property has some unique features due to its age. This floor is habitable in need of modernising only. Up internal stairs to the second floor which is in original condition, and comprised of 4 rooms with vaulted ceilings, bathroom, fireplace and plenty of character. Connected to water, electricity and sewage, easily connected to mains gas. Palombaro, Abruzzo. Semi-detached 250sqm with 3 bed , nicely finished house with mountain views and off-road parking and 500sqm of patio. The main entrance is up internal stairs to the first floor, opening into a corridor, centrally heated via either the fireplace or bottled gas, through to a spacious open plan kitchen and dining room, with fireplace. There is access to a long terrace that is covered in the winter and easily opened up in the summer, offering open views of Palombaro. There is a second bathroom with shower and utility room, and a lounge. Up internal stairs to the second floor, there are two double bedrooms both with a terrace and spectacular mountain views, a single bedroom with balcony and a bathroom with tub. Under the house, on the ground floor are the cellars, presently used for storage and wine. There is a basic bathroom and the gas boiler. A part of the patio area is covered. There is an option to buy a further piece of land of 4000sqm on the other side of the quiet farm road, with building rights for a second villa of 150sqm , for Euro 50,000 extra. Paglieta, Abruzzo. Character full , finished semi-detached town house with 2000sqm of olive grove and 90sqm out building with sea view. Located 5 minutes drive to the beach in a quiet spot, the house offers four rooms on the ground floor, including kitchen and fireplace and bathroom, with internal stairs to two bedrooms and the plumbing for a second bedroom. There is access to a 20sqm terrace from the bedroom. A detached outbuilding can be converted , located amongst the olives. There are beautiful open sea views. The house has gas central heating supplied by a tank in the garden. Finished semi-detached town house with 2000sqm of olive grove and 90sqm out building with sea view, located 5 minutes drive to the beach. Casoli, Abruzzo. Finished town house of 270sqm with 4 bedrooms and 3 panoramic terraces. There are two entrances with a part of the house rustic in need or modernizing. The two entrances make an option to split the house into two apartments possible. The main, finished part of the house has an entrance to a corridor to a nice lounge with original tiles, and a long balcony. There is a large lounge of 45sqm and a kitchen From the stairs access two bedrooms. From the internal stairs, with a glass brick wall, arrive at the top level with two double bedrooms and balcony, and a bathroom. There are 3 terraces, two are accessible and one requires a stair case. The view from the terraces is quite amazing, of the mountain range, and all day sun. The total size of the three terraces is 60sqm (around 20sqm each). There is also a cellar with vaulted ceiling that is presently separate, which can easily be connected to the main house. Ortona, Abruzzo. The house is made up of three floors, the main entrance is straight into a lounge diner, which connects to the kitchen and bathroom. Via internal stairs reach the first floor with a double and a single bedroom with bathroom (shower). Via internal stairs reach the second floor with a double bedroom with balcony and bathroom with shower. The house offers air conditioning on every level and mains gas central heating. 3km to the beach,2 km to Ortona town center, 2km to the motorway and 500 meters to the supermarket. There is an intercom and spare water tank. Bomba, Abruzzo. 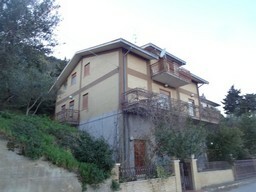 250sqm town house with roof sun terrace and 6 bedrooms in original, 1900s condition, mountain and lake views. This prestigious, character full town house seems solid and habitable, offering four floors and a roof terrace to create a large family home or b & b. The main entrance to the ground floor is into a corridor with access to a lounge with balcony and a kitchen with bathroom. Below this , a basement is made up of a large room with vaulted ceilings, of 70sqm. There are three different external entrances. From the ground floor there are internal stairs to the first and then second floors both with two bedrooms each. There is also access to the roof terrace via internal stairs. The property is located in the old part of Bomba so walking distance to the shops, bars and outdoor public swimming pool. Lanciano, Abruzzo. Two floor apartment in need of renovating. The ground floor is on the third floor of the block, the entrance is into a corridor, with access to two bedrooms, a bathroom and spacious lounge/ kitchen and balcony. Internal stairs need to be added. The second floor is a loft conversion, with four rooms, including a basic bathroom. It is about 55sqm. There is a spacious 40sqm terrace with views of the city of Lanciano. Due piani di un blocco di appartamenti in vendita. Un appartamento di mq 120 abitabile, e l'attico di circa mq50 più terrazzo di mq40 da rinnovare. Paglieta, Abruzzo. A finished, house in the town, with a private 500sqm garden overlooking the valley. There is a spacious patio off the lounge, for relaxing in the sun. The main entrance is into a corridor, then connecting to a large open plan lounge / kitchen with double bedroom and bathroom all on the ground floor. Perfect for people with difficulty using the stairs. Up internal stairs to the first floor, to find two double bedrooms and two single bedrooms, a bathroom and two small terraces. The house has central heating and built in the 80s. Casoli, Abruzzo. 1800s palace with fantastic beauty, open mountain views, 6 bedrooms and located in a very typical Italian town. The main , very prestigious entrance opens into cellars that can be renovated on the ground floor. They can easily be converted into a separate 50sqm apartment. Up internal stairs to the day area, quite spectacular. This floor comprises of kitchen, bedroom, a hall with the staircase up and a 50sqm grand lounge for entertaining with large open windows offering a spectacular mountain view. The staircase is quite beautiful, made out of solid oak. The stairs go up to the top floor leading to a grand corridor with four double bedrooms, one being very spacious with a balcony and there is a bathroom with tub. 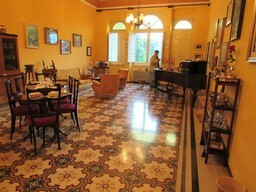 The whole house has original and very beautiful tiles. There is a fantastic mountain view from a 20sqm terrace. The house is fully centrally heated from mains gas. Altino, Abruzzo. Nicely renovated 6 bedroom, semi-detached town house in a quiet, panoramic location with garage. The house has been renovated with several balconies overlooking the green valleys below. The property can be easily split into two apartments or different rental units if required. There are four bathrooms, and two kitchens. The house is fully central heated. Lanciano, Abruzzo. 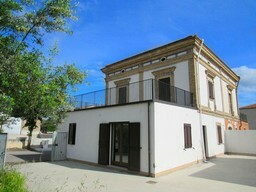 Finished, detached, 3 bedroom, 210sqm, in the center of Lanciano, with garage and fantastic views. Located in the historic center of Lanciano, a busy, typical, Italian city with many tourist attractions including a Cathedral built on a bridge, a Eucharistic Miracle, mediaeval re-enactments (mastrogiurato) and 10 minutes drive to the beach. Around every hour there is a direct bus to Rome, and trains / buses to the beach. The property is nicely finished, with no renovations required, and finished with taste in a rustic style. The property is detached with a patio and fantastic view, difficult to find in the old center of this city. The front door opens into the lounge through which you arrive at the kitchen with fireplace. There is a cloakroom with toilet. Up internal stairs to three bedrooms and a complete bathroom. There are three balconies, the back one has a fantastic mountain view. At the back of the house there is a garage with a patio, and open mountain views. The house is next to a lift that takes you down to a free public car park for guests to arrive easily. 300 meters from the house is the center of the city full of bars, restaurants and shops. Lanciano, Abruzzo. Finished, ground floor duplex apartment with private garden in a peaceful road near the center of Lanciano. The is surrounded by trees and a park, yet walking distance to all facilities. The apartment has private off-road parking. The main entrance connects to a corridor from which you can access to an open kitchen / diner. There is an open plan lounge, over two floors, full of light and space as a lounge area. From the lounge you can acces the garden, from one of two French windows. The garden is 50sqm , private with some trees and patio area. There is a full bathroom and a storage room. From the lounge there are internal stairs to the first floor with an open, spacious corridor leading to a nicely finished bathroom with tub and three double bedrooms, one with a balcony. The house is fully centrally heated. Lanciano, Abruzzo. Nicely finished, 2 bedroom apartment with spectacular mountain views in the center of Lanciano. The apartment was renovated in 2003 with a rustic design , keeping its original character. The entrance is via a solid wood original door into a shared courtyard from the 1940s. Up external stairs to the entrance of the apartment. It opens up to an open kitchen and corridor with access to the lounge, study, two bedrooms and two en-suite bathrooms. The lounge has two balconies that look onto the mountain and city views, offering something quite special. In the distance there is the sea. There are small vaults and wooden floors throughout the apartment, and it feels very light. The kitchen is built into the walls with a rustic style and alongside there is a utility room. Included there is also a cellar. Doors and windows are fairly new, and the house is centrally heated via mains gas. Altino, Abruzzo. 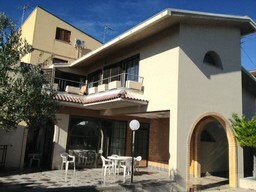 270 sqm of finished, detached house with garden and terrace. The views are of the valleys leading to the sea. Located 20 minutes to the beach and a 5 minute walk to the small town of Altino. The house is split into two completely finished, 3 bedroom apartments with the option of converting the ground floor into a third apartment. Torricella Peligna, Abruzzo. Spacious, 8 bedroom stone house with sea and mountain views, in front of the pine forest in this small but lively town in the mountains. It takes 35 minutes to get to the beach, 20n minutes to lake Bomba and 30 minutes to the ski resorts. The house is on two levels, the ground floor is just a shell, occupied by a dissused oil mill and needs completely renovating. The first floor houses the main appartment which is original condition, with original character but completely liveable. The roof has some small leaks and needs maintenance. The central heating may need to be renovated and the electrics are 30 years old.